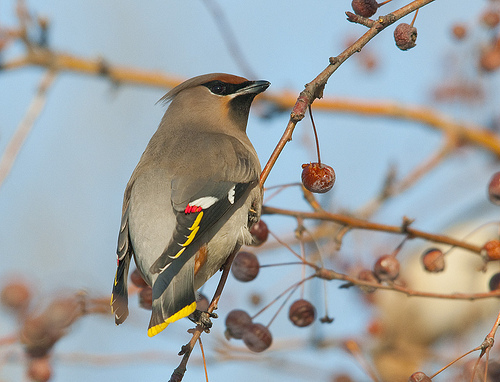 The Bohemian Waxwing is a bird sometimes not seen for years and then suddenly massively present in western Europe. The cause of these invasions is not yet clear. Food shortages likely play an important role. 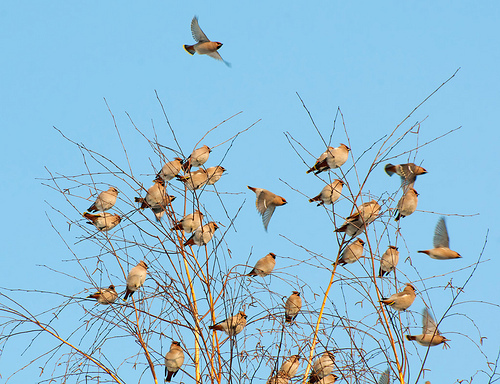 In the Middle Ages it was thought that from their home regions the birds brought the dangerous plague. The Bohemian Waxwing is plain beige, the Jay has many more colours.